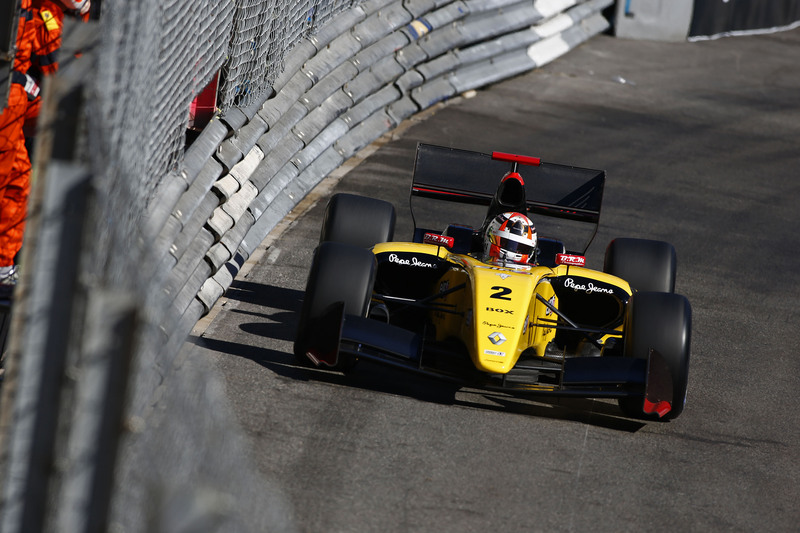 DAMS racer Norman Nato took his second pole position in the Formula Renault 3.5 Series at Monaco today. Nato headed Group B, but only just from ISR man Jazeman Jaafar, while Marco Sørensen (Tech 1) claimed 3rd on the grid. Carlos Sainz Jr topped the ‘Group A’ qualifying session, but was later penalised two positions for impeding fellow Red Bull junior driver Pierre Gasly. In the faster ‘Group B’ session, Nato grabbed the top spot by just 0.092s with a late fast tour. The 21-year-old battled throughout the running with Jaafar and Fortec’s Oliver Rowland; however only Jaafar could push harder as the time ticked down, only to be beaten by Nato’s best of 1:23.209s. Rowland could do no better than 3rd in the group, as he failed to improve with the leading pair in the final minutes. Zoel Amberg (AVF) took 4th and Will Stevens (Strakka) 5th. Sainz Jr utterly dominated ‘Group A’. The Spaniard led after the first run and significantly improved that time to 1:23.873s on fresh tyres before the chequered flag. It came to naught however, as Sainz Jr was given a two-place grid drop for blocking, although he was adamant that he had slowed for Roman Mavlanov’s damaged Zeta Corse machine. Sergey Sirotkin was the 3rd place driver in ‘Group A’; however the Russian lost time in traffic on his fast lap, while Gasly maintained 4th by the end of the session.